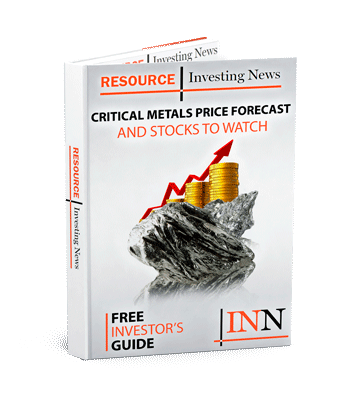 Wondering how to invest in the magnesium mining market? We’ve put together a brief guide for those interested in this metal. Magnesium is needed for over 300 biochemical reactions and is deemed vital for healthy bones and good circulation. But its many useful properties mean that it also has key industrial uses. Demand for magnesium has grown steadily in recent years, driven largely by the car parts industry, where magnesium is used for die casting. Specifically, magnesium can be found in car steering wheels and support brackets. According to Roskill, global growth in the magnesium market is expected to average 3.4 percent per year, reaching almost 1.2 million tonnes per year by 2020. The firm expects aluminum alloys and die casting to be the fastest-growing markets at about 4 percent per year each. In terms of supply, magnesium is the eighth-most-abundant element in the Earth’s crust and the third-most-abundant element dissolved in seawater. Over 80 percent of the magnesium produced in the world comes from China. According to the US Geological Survey, Chinese magnesium production increased in 2017 after falling in 2015 for the first time since 2009. Other major magnesium-producing countries include Israel and Russia; Russia also holds the highest magnesium reserves in the world. There are currently a total of four companies aiming to bring magnesium mines online before 2020, Roskill says. Those are: Qinghai Salt Lake (China), Alliance Magnesium (Canada), Latrobe Magnesium (ASX:LMG) (Australia) and SilMag (Norway). As with many other critical metals, there is no formal magnesium market. For that reason, it is difficult to gain exposure to the metal. However, one way to do so is to invest in companies that mine magnesium. In a 2015 article, Chris Berry of the Disruptive Discoveries Journal noted that China is home to many magnesium-producing companies, though some exist in other locations as well. A large number of these companies are private, or are not listed on common exchanges. Editorial Disclosure: MGX Minerals and West High Yield Resources are clients of the Investing News Network. This article is not paid-for content.